Zotz Fizzy CAndy Watermelon Flavored 2lb 170 Pieces by Casey Ann's Candies at Smokey Robinson Foods. MPN: 1. Hurry! Limited time offer. Offer valid only while supplies last. The original Zotz Fizz Power Candies were introduced in 1968. Within one year they had quickly become the hottest selling kids candy in the business. The original Zotz Fizz Power Candies were introduced in 1968. Within one year they had quickly become the hottest selling kids candy in the business. 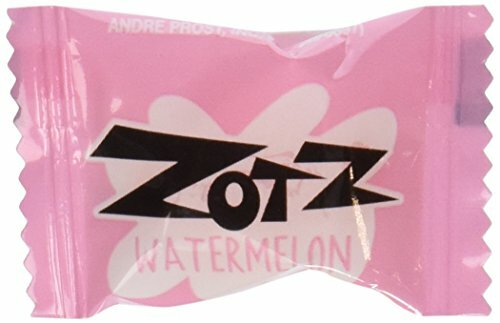 What made Zots unique was the flavored fizz center which kids found irresistible. Zotz is a high quality hard candy manufactured by G.B. Ambrosoli. G.B. Ambrosoli is wholly owned and operated by the Ambrosoli family, in Como Italy, since 1920. We pack our Candy only after it is ordered to stay nice and fresh for you. If you have any questions about this product by Casey Ann's Candies, contact us by completing and submitting the form below. If you are looking for a specif part number, please include it with your message.